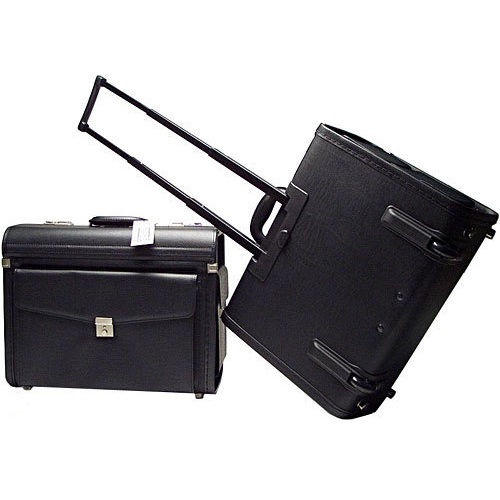 Traditional black PVC economy expandable attaché case. High quality embossed vinyl with hand turned, stitched edge finish. 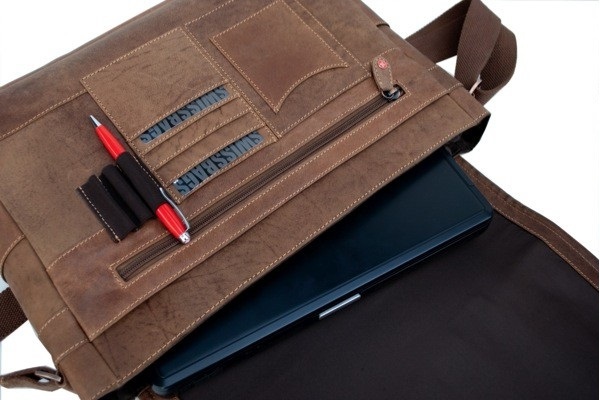 Durable nylon inner lining with twin internal file pockets, full width open pocket and twin pen loops. Quality brassed fittings, feet and combination locks with moulded plastic swivel handle. Depth increases 25 mm (to 125 mm) when expanded. 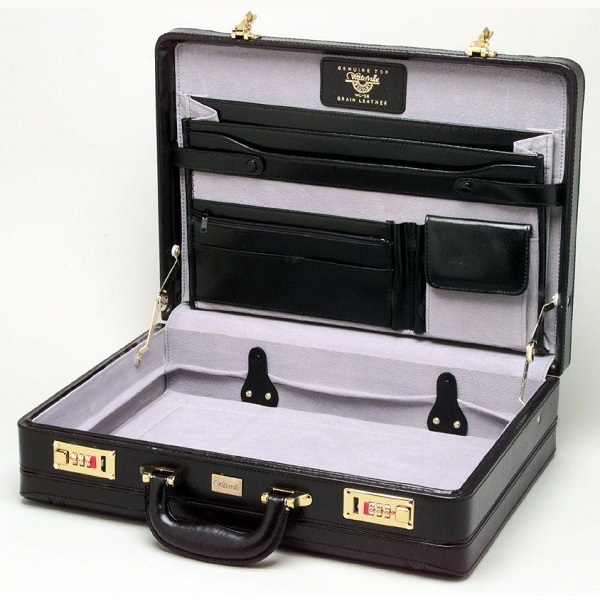 Traditional Old English bonded black leather expandable attaché case. Quality bonded leather over plywood framing with hand turned stitched edge finish. Pigskin suede interior lining with two file pockets, mobile phone compartment, calculator pocket, business card pocket and two pen loops. 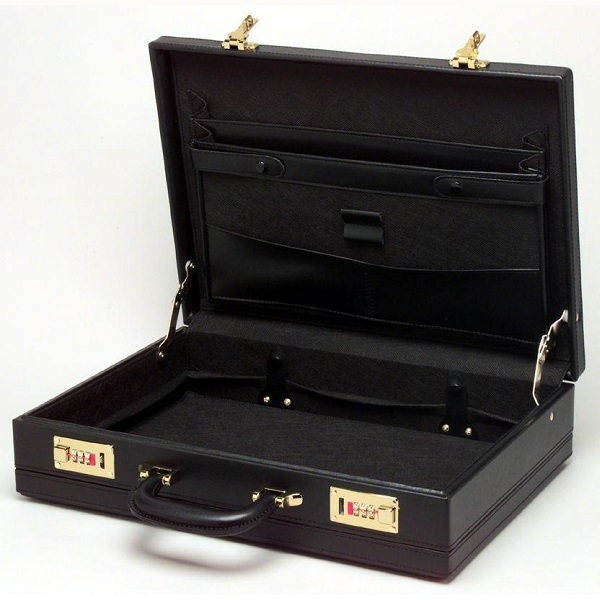 Leather clad cushioned handle and quality brassed hardware, feet and combination locks. Depth increases 25 mm (to 130 mm) when expanded. 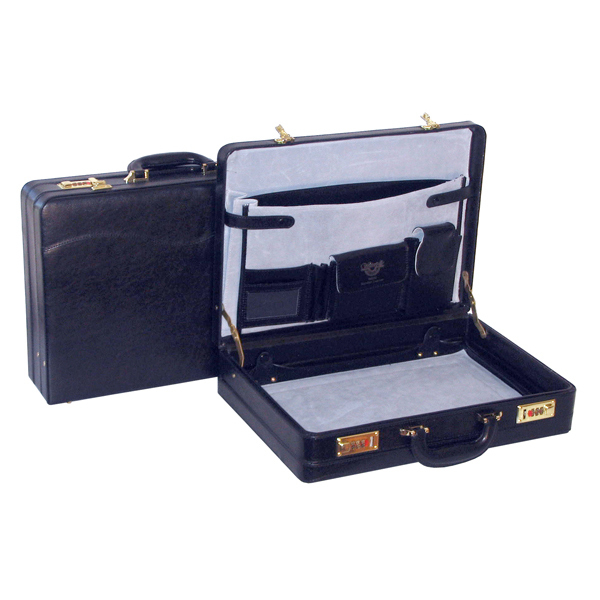 Traditional premium top grain black leather expanding attaché case. Quality top grain cowhide over plywood framing with hand turned, stitched edge finish. Waterville signature padded lining with three filing pockets, zippered pouch, calculator pocket, two pen loops and matching leather luggage tag. Depth increases 25 mm (to 135 mm) when expanded. 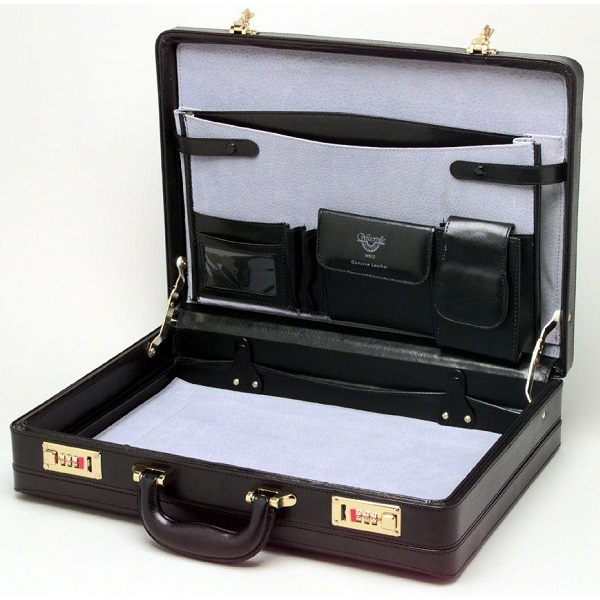 Soft 'Saddle back' style black faux leather briefcase organiser. Luxurious faux Nappa Calfskin material with hand turned, stitched edge finish. 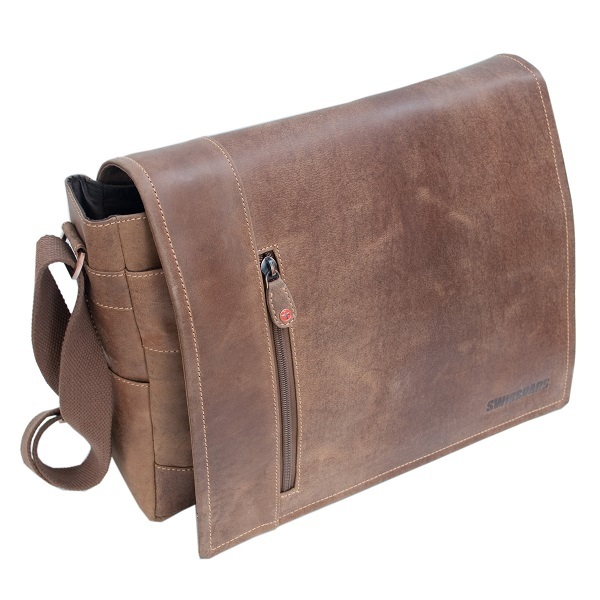 Full size gussetted pocket on one side with one internal divider and flap closure with zip up multi-functional stationery compartment under twin buckle and loop closure. Full size gussetted pocket on the other side with two internal dividers and flap closure secured by hook and loop closure. Strong padded handle and adjustable and removable shoulder strap. 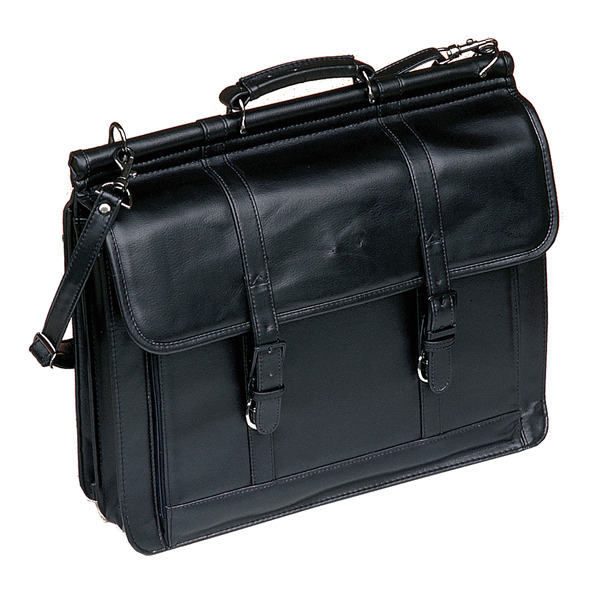 The Cologny is a premium distressed leather designer bag for business and/or leisure. The full calf leather has an attractive aged look which will improve with time and use. Ideal storage for pens, mobile phone and credit card pockets. 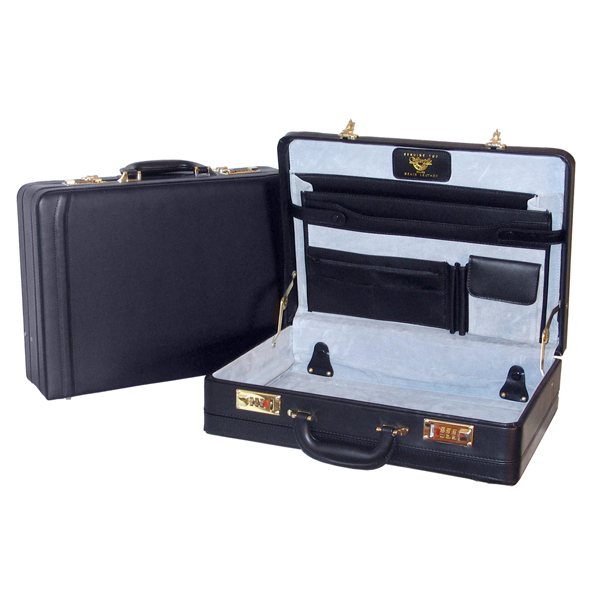 Capacity for a notebook/laptop of up to 17"
Traditional pilot's case with fixed nylon wheels, retactable metal handle, combination lock and protective metal feet. High quality embossed black vinyl over moulded plastic framing with hand turned, stitched edge finish. Smooth rigid interior with twin internal dividers and full size external lockable flap pocket, plus total of three external end pockets, two zippered and one with hook and loop closure. Built in strong retractable "Hideaway" trolley handle and wheels made from high impact resistant ABS plastic. Quality fittings, feet and combination locks with pewter finish. Dimensions (H x W x D) - 390 x 470 x 265 mm External.